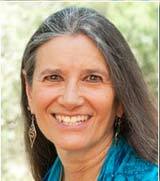 I would like to invite you to listen to a free lecture on shamanic journeying and healing. When you sign up for the introductory call the Shift Network will then send you information on how to register for my new 7 week teleconferencing course. If you cannot listen to the free introductory call that is fine. Once you sign up for the call you will receive a recording of the call. What if you could consciously enter into parallel worlds of consciousness to receive accurate and helpful guidance on life situations you face? It's possible through the practice of shamanic journeying, which opens the door to access guidance from "helping spirits," allies in the invisible realms who are here to help you navigate your life with greater wisdom and clarity. If you're interested in learning this powerful and healing skill, I'm delighted to share my free online event: The Healing Power of Shamanic Journeying: How to Access Inner Guidance from Helping Spirits. Learning this ancient practice helps you gain greater clarity and insight into any number of life challenges. For those of you who wish to continue with the 7 week course here is a description that I hope will inspire you to sign up. "Shamanic Journeying for Guidance and Healing: Opening to Love, Beauty, and Wisdom through Sacred Ceremony and Community". This course will be taught once a week beginning December 2 – January 27 (there will be a two week break during the holiday season). I consulted with my helping spirits on the journeys I will be teaching, and I know they will provide a deep and rich experience for everyone. And I am especially excited about being able to perform healing ceremonies at the end of each session that will touch us on both personal and global issues. For every change we make in ourselves ripples throughout the entire web of life. I look forward to gathering with a wonderful circle of people. And there will be a forum where we can stay in touch with each other between sessions to share our experiences and get group support. I will be very present on the forum to answer questions and to be supportive. Shamanic Circles is a nonprofit organization dedicated to fostering global shamanic community. We provide knowledge, resources and networking for individuals and circles through our website, our gatherings and our program sponsorships. We welcome you to the Circle. More about us and this web site.